I discovered a used copy of The Child Finder at my little local bookstore. At first, I was wary (missing children stories are always disturbing) but I ended up absolutely loving the tale of Naomi Cottle. Rene Denfeld shows that in the face of indescribable horrors, humans have a talent for resilience. And good can blossom from horrific circumstances. First of all, the setting and atmosphere of The Child Finder is unlike anything I have ever encountered. It's lush and dangerous and romantic and twisted. The snow and the trees are fairytale-like while also striking fear and being a reminder of evil. Being set in Oregon, I felt Denfeld did my state justice. (Although I am now scared of dying of hypothermia in the Oregon snow while looking for a christmas tree.) In fact, her observations about America itself was full of jaded insight. "America was an iceberg shattered into a billion fragments, and on each stood a person, rotating like an ice floe in a storm" (66). This book is also an almost love-letter to every child who has been lost. Denfeld's repeating motif is that everyone can be found. And these found children will go on to do great things. Naomi Cottle, the child finder, wants only the best for the children she brings home; and she knows they are capable of flourishing. It's empowering. There is a cast of memorable characters, many mysteries, and a lot of tears. 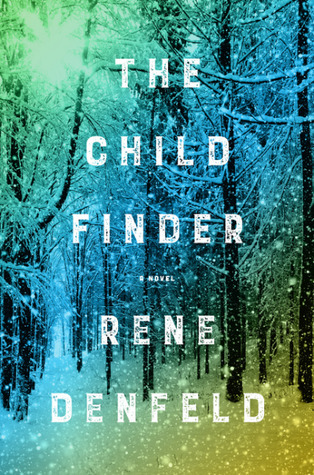 The Child Finder is an absolute gem and I can't wait to read more by Denfeld.